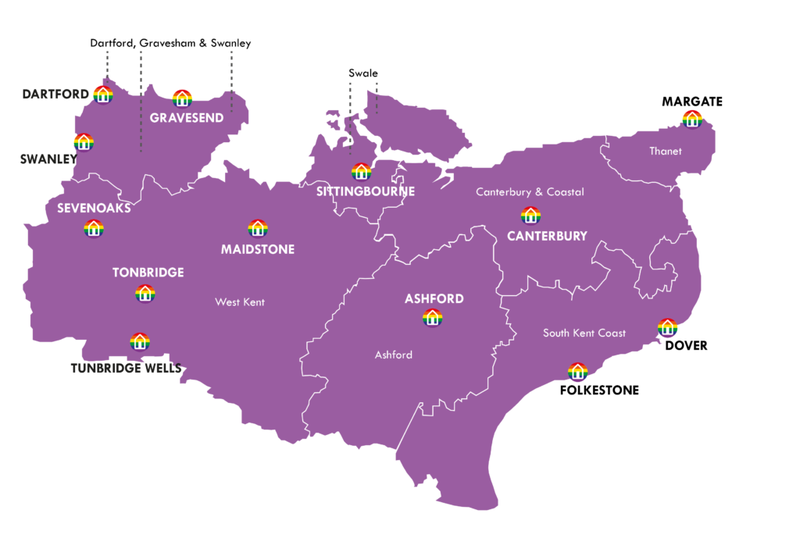 The BeYou Project runs regular meet-ups in most areas of Kent, and we are bringing these to the remaining parts of the county soon. Our meet-ups are safe spaces where young people who are LGBT+ can come along, meet new people, socialise and share experiences. There’s no need to book and no pressure to explain why you want to attend. New information will be added to these pages regularly, so if there’s nothing happening near you at the moment keep checking back – and in the meantime, take a look at our help and advice and resources pages.